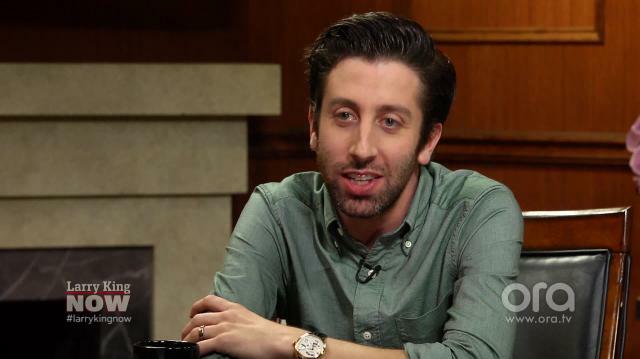 'The Big Bang Theory' funnyman Simon Helberg weighs in the upcoming season of the massive comedy hit, specifically commenting on what viewers can expect from his beloved character Howard Wolfowitz. King: Alright, the 10th season of Big Bang. Anything you can tell us about what to expect? Helberg: You know, I- they don't, they keep us in the dark, so-Howard is gonna have a baby. Which is gonna be probably a disaster and I can only imagine what a catastrophe well, that will be. He will have to, he's a- he's a baby himself, so that's, that's imminently coming. King: Sharon Romeo-MacLaine on Facebook- Can you please tell me, is Howard gonna have a boy or a girl? Helberg: I could not tell you. I really don't know. They haven't- Im sure there'll be an episode where that, that is a story. Seems like a good one, but yeah. They don't- they keep everything secret from us. They don't trust us.